Having discussed the results of the UK referendum at the cabinet’s unscheduled session, convened in the wake of British people’s majority decision to leave the EU, the Estonian government has agreed on the country’s standpoint, saying that the European Union has to act in a coordinated manner at the exit talks, and that these talks must not be carried out in a spirit of retribution for the United Kingdom. “There’s no doubt that the result of the referendum is negative and unexpected news for the European Union as well as half of the United Kingdom. Now is the time to get over the shock and the emotions, as a hot head is not the best compass,” the prime minister, Taavi Rõivas, said. The Estonian government is of the opinion that the next steps in the exit talks must take place without any unnecessary delays, but also without excessive time pressure. These talks cannot start before the UK has presented the European Council with an application to exit. The government also discussed the possibility of Estonia’s presidency of the European Union beginning half a year earlier than scheduled, or the presidency period being prolonged. According to the present rotation schedule, the UK will hold the presidency from July 2017, and Estonia will take the post over immediately after that, from January 2018. 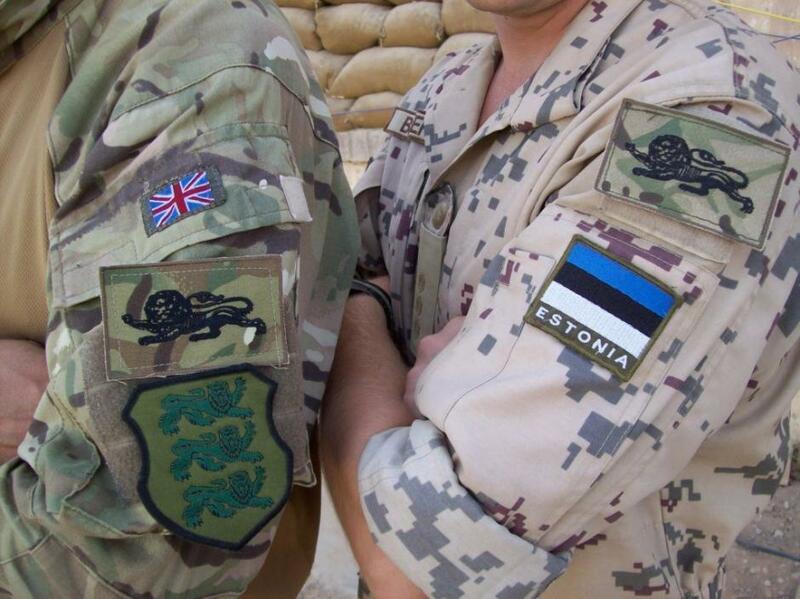 “Our stance is flexible – Estonia is ready for all kinds of scenarios,” the Estonian prime minister said. Estonian foreign minister Marina Kaljurand stressed on 24 June that the result of the referendum does not change anything overnight for the citizens of Estonia who are staying in, or planning to travel to the UK. The United Kingdom will remain a member of the European Union until a possible application to leave is submitted and the exit process carried out, ending in a departure treaty. “A final exit from the EU is likely to take several years, and the determination of future relationships even longer. The referendum has no impact on the membership of the British in other organisations, including their contribution to the security of Estonia as a member of NATO,” Kaljurand said. Cover: a soldier from the 2nd Battalion, The Duke of Lancaster’s Regiment, known as the ‘Lions of England’ and a soldier of the Estonian Land Forces pictured side by side in Afghanistan. Courtesy of United Kingdom’s MOD.